SAFE Bunbury began as SAFE Southwest in 2008. We became a separate branch in 2010 and are coming along in leaps and bounds. We currently rehome around 400 animals per year. It is operated by a small but dedicated group of volunteers from a wide range of backgrounds. Although primarily dealing with dogs and cats, we have also rehomed pet rats, rabbits, birds, goats and sheep. Funds for the care of the animals are raised through the Cadbury chocolate fundraising, assistance by local vets, market stalls and adoption fees for the animals. Donations of pet related products can be made at our donation bin at Better Pets and Gardens Bunbury. We are always looking for people to help, by foster caring, assisting with administration, transporting animals and fundraising. If you are an animal lover who wants to help encourage responsible pet ownership in the Bunbury area and find homes for lovely animals, please give us a call, we would love to hear from you! Please visit our website to check out our dog and cat listings. SAFE began in the Pilbara region of Western Australia in Karratha, in February 2003 to address the lack of an animal rescue service for homeless cats and dogs. At the time a large percentage of these animals were euthanised because there was no organisation to facilitate their rescue and rehoming. Since then SAFE has grown into a successful multi faceted animal welfare organisation with regional entities in Broome, Bunbury, Busselton, Carnarvon, Hedland, Kalgoorlie, Karratha, Newman, Perth and Tom Price - with smaller networks across Western Australia. SAFE has set up a network of temporary foster carers who open their homes to homeless cats and dogs whilst permanent homes are sought. It is our vision that where needed, further SAFE branches will be established in locations where there is currently no rescue program or animal shelter or where pets are facing euthanasia. 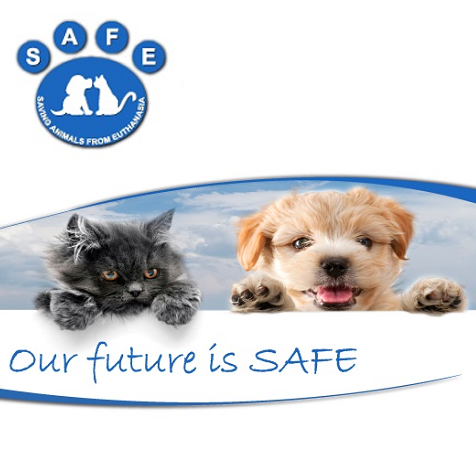 SAFE is proactive in helping to bring about positive change in the areas which cause so many unwanted, abandoned and neglected dogs and cats and strongly supports and promotes desexing of all domestic pets. Through positive change, the primary goal of SAFE is to make a difference in the quality of life for cats and dogs and to promote the immense value to humans of pet ownership.